When the young instructor Dean Bernal in the silent bays of the Caribbean Turks and Caicos encounters a wild dolphin, this is the beginning of a deep friendship. Fascinated by the grace and playfulness of intelligent animal he gives it a name: JoJo. Gently and with great patience he gains the trust of the dolphin. Between them creates a very special band, and both experience breathtaking adventures together. So how JoJo protects its human friend before shark attacks and in dangerous tropical storms so saved him Dean Bernal from the threat of destruction of its habitat by tourism. 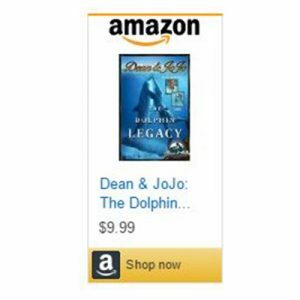 In his touching book shows the author: By us of the creativity, sensitivity, and healing can touch the dolphins love, our relationship to nature and we can heal itself. For more information about this book click here to visit Amazon.